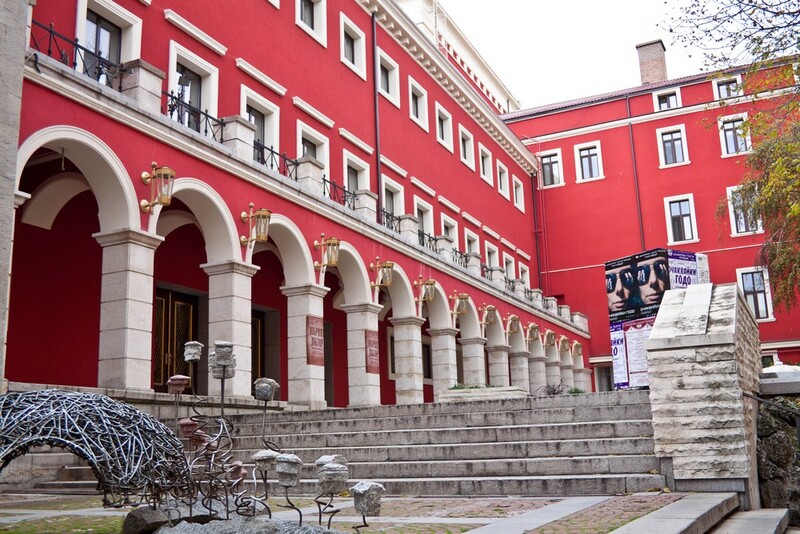 Plovdiv Drama Theatre is the first professional Bulgarian theatre, founded in 1881, and one of the leading cultural institutions in the country. For the last several years it has been ranking in the top three Bulgarian theatres. It is a state repertory theatre partially funded by the Ministry of Culture. It manages two stages in the city of Plovdiv. Six to eight new shows open each season. The ensemble performs on own stages, around the country and abroad. 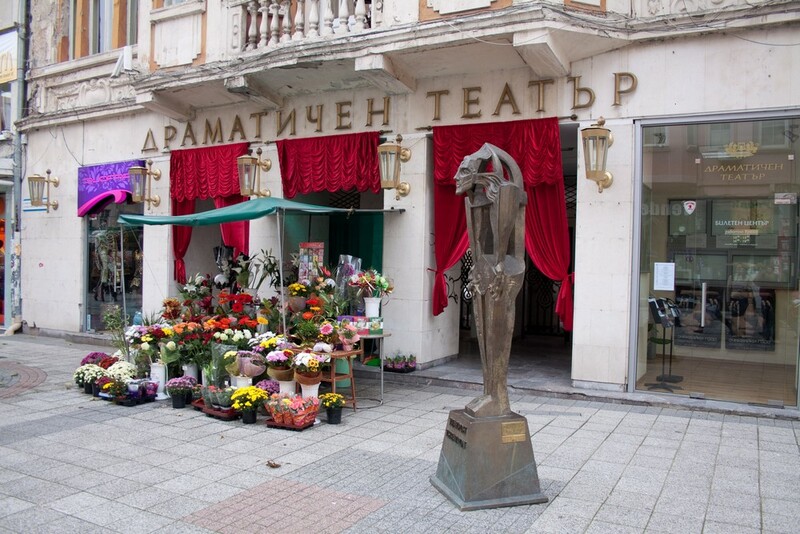 Many of the most popular Bulgarian actors and directors have begun their careers at the Plovdiv Drama theatre. The theatre's actors and productions are recipients of many national theatrical awards. Plovdiv Drama is the host of the annual International Theatre Festival Scene on a Crossroad. In 2007-2010 Plovdiv Drama Theatre took part in the major project Black/North SEAS funded by the EU “Culture” Programme. SEAS was a major European platform for intersecting Arts with other sectors of society. The primary focus was the creation and distribution of interdisciplinary artworks on a transnational basis. Cultural operators, artists, public officials and scientists were connected in a four year long multi-lateral cooperation stretching from the North Sea to the Black Sea. Plovdiv Drama’s unique street performance Suitcases was presented in Bulgaria, Istanbul, England, Sweden, Norway, Denmark, and Slovenia. The theatre carried on the traditional hosting by the previous Rhodopi Drama Theatre of the Rhodopi International Theatre Laboratory – an annual summer gathering of theatre practitioners and scholars, which allows professional participants to work with and train students and each other in distinct approaches from around the world.